Libby Hikind, CEO and Founder of GrantWatch and UHelp, is deeply shaken and saddened by the events that took place in Orlando over this past weekend. CBS has confirmed that the mass shooting at the Orlando nightclub left at least 49 victims and the shooter dead, and 53 people injured. According to Libby Hikind, “As a Florida citizen I feel that the most empathetic and patriotic act I can perform is to offer our crowdfunding platform, UHelp, to fellow Floridians and nonprofits to help them raise money for the victims and their families. I feel their pain and suffering and look forward to Uhelpfund being used as the fundraising catalyst for expressions of love and healing to be sent to our fellow Floridians. UHelp was designed to help organizations raise money for social causes, especially in great times of need. UHelp will provide each organization with a crowdfunding mentor to guide their campaign toward a successful outcome. Our services, which will be available for free to these organizations will include project consultations, campaign management, social media planning, and much more. As American citizens, we have the right to individual liberty and peace, as well as the right to coexist in society without feeling threatened. When any one of our rights are jeopardized, it is our responsibility to unite in solidarity in order to defend our country’s freedom. UHelp is prepared to assist organizations with their crowdfunding projects and campaigns to support the American lives lost in the Orlando terrorist massacre. To start, go to UHelp.com to sign up and start to the campaign today. One of our crowdfunding mentors will call you and review your project ideas – or you may call the office directly at 888-240-1494. UHelp is prepared to help local organizations raise money for projects and programs to aid the victims of this attack, as well as for programs and projects to prevent such acts of hate and violence from taking place in the future. In trying to make sense of it all we came across a book title that seems to be pertinent. In Gun Violence and Mental Illness, by Liza H. Gold and Robert I. Simon, seeks to understand this epidemic of mass shootings by studying the relationship between mental health and nationwide gun violence. 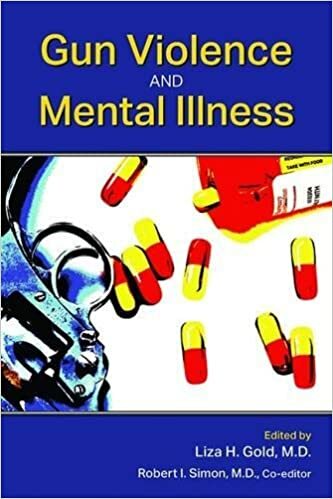 The authors seek to go beyond the emotional rhetoric of banning gun laws by exploring the scientific, research-based arguments about gun violence in correlation with mental illness. UHelp will support the Florida communities in its crowdfunding efforts to raise support for the lives lost in this most recent terrorist attack on the Pulse nightclub in Orlando, Florida. We will assist your organization in project management and campaign strategizing in order to achieve a successful crowdfunding project for your community and your cause. You may reach our team of crowdfunding mentors immediately at 888-240-1494.